Landowners in the area south of, and abutting, the West Coast National Park approached SANParks to facilitate the setting up of a formally protected environment. 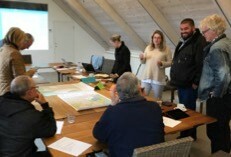 MCA was appointed by SANParks to work with the landowners to develop a shared vision and integrated Conservation Development Framework (CDF) to enable them to work together and with SANParks. The focus is on a partnership-based approach that draws in the local community to manage and benefit from the biodiversity, heritage and scenic resources and development of public infrastructure, economic activities and facilities. The success of this project was based on a combination of strong evidence-based planning, combined with a thorough process of sharing and exploring options for the conservation and development of the area.